I’m in Rome as I write you this note. Feeling alive. Creative. And grateful. Two days ago I delivered a leadership presentation to 400 senior executives in Dubai. I’ve decided to speak less these days so I’m enjoying my time on stages even more. Yesterday I was at the airport there and happened to be in an elevator with a man who wore a cap I thought was cool. I hesitated in complimenting his hat. Then I realized that I might not get the chance again. And so I did. In the past I would have refused the gift, out of politeness (and some fear of deserving the gesture). This time I got it right and honored his kindness with my acceptance. He smiled. A very glorious smile. As we left the elevator I asked him to wait for a moment. I opened my carry on and gave him the one copy of The 5AM Club I had with me. Because it was clearly destined for him. I signed it and gently handed it over. [Yes, that’s his former hat that I’m wearing]. You know, there’s a ton of negativity and volatility and outright tragedy in the world right now. It does hurt my heart to see all the hate. ...I’ve never seen so much decency. ...I’m consistently blown away by all the people reaching for their mastery. ...I’m viscerally inspired by so many people exemplifying nobility. This gentleman reminded me of what it means to be good. And taught me a lesson on generosity. By the way, thanks to all the cool cats making the new book #1 around the world. I am beyond grateful that it’s become one of the hottest sellers on our little planet, in under three months of its release. ...People just like you are reading it this very moment and experiencing the magic this work is provoking. All you need to do is look at my Instagram page and you’ll see real people getting striking results from this book that I handcrafted with painstaking care [and genuine love] over a hard 4 year period. The 5AM Club is in all great bookstores, on Audible as an audiobook and available on Amazon here. 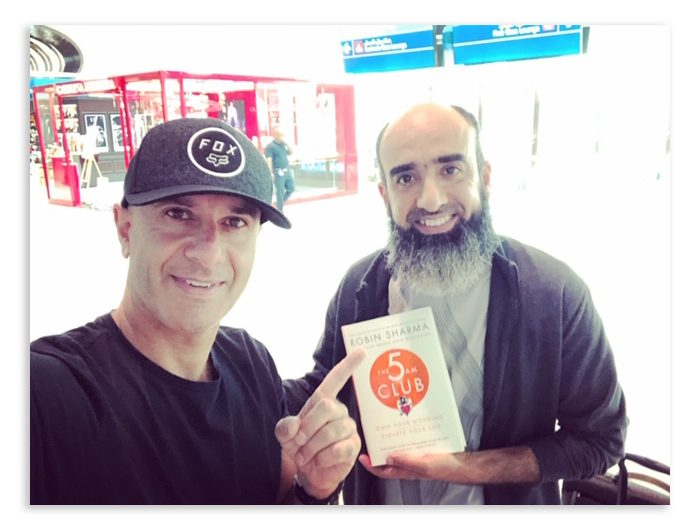 At the end of the book are details on the awesome free 66 day digital program I’ve created to help you lock in The 5AM Method as a lifetime habit. And please know a portion of my royalties goes to helping kids suffering from leprosy. 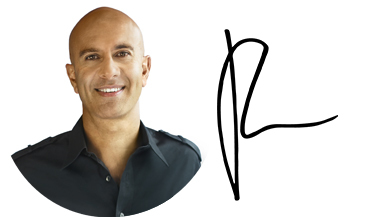 ...To get all the details on this absolutely life-changing LIVE event with me and to get onto the Waiting List just go here.